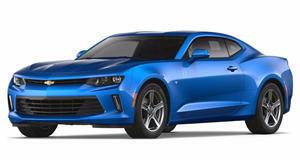 Hennessey tuning house has just released a high performance upgrade for the upcoming Chevrolet Camaro SS. Called the HPE600, it has a TVS2300 Supercharger System that now totals 602 hp at 595 lb-ft of torque. Hennessey is claiming the HPE600 is capable of doing 0 - 60 mph in the mid three second range. To handle the extra power, Hennessey added a cold air induction system, upgraded injectors, and high flow catalytic converters amongst other things. Additional appearance features include stainless steel cat-black exhaust, exterior stripes, lightweight wheels, custom leather interior, and a Hennessey CarbonAero body kit. Each car is individually numbered and comes with a 3 year/36,000 mile limited warranty. If you&apos;re interested in hearing what this monstrous machine sounds like, be sure to check out the video. I promise you...you don&apos;t want to miss it. Total cost: somewhere in the neighborhood of more than you can afford.